I was going to wait to reveal the finished ornament until after I showed the different steps in the process, but then I thought, that is the same scenario as one of my pet peeves; instruction manuals. Instruction manuals, particularly computer programs, generally never give you the overview first, they usually dive right into all the 52 ways you can resize, rearrange, reduce, something but you are not sure what it is you are doing exactly. 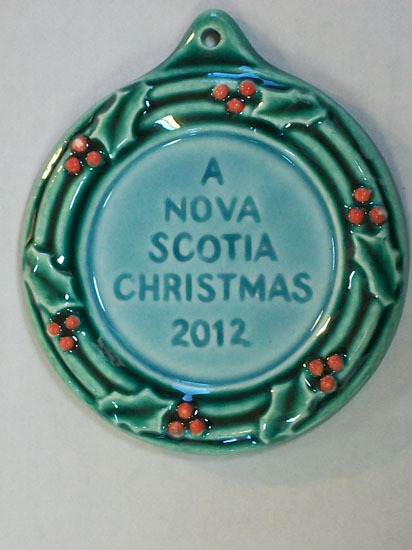 So with that in mind, here is the finished ornament for 2012, “The Holly Wreath”. In the next posts I will show how I arrived at the finished piece from the idea drawing. I hope you like it.